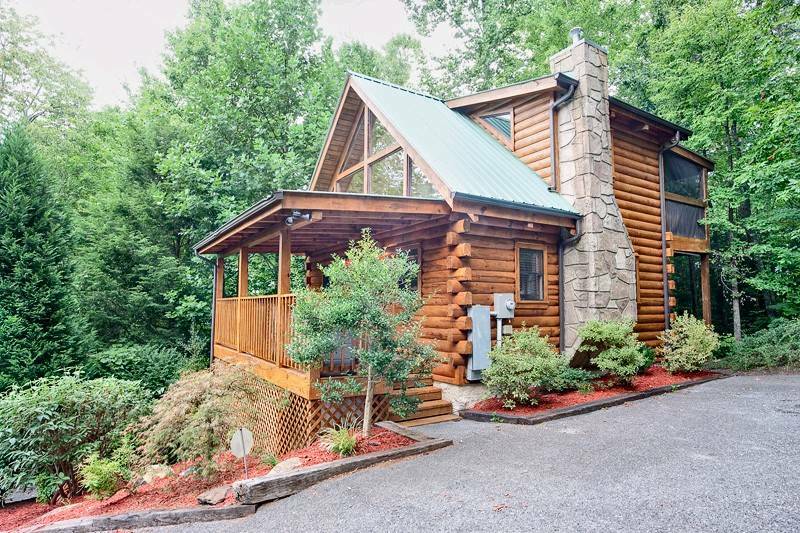 This private and cozy log cabin is situated high on a mountain top between Gatlinburg and Pigeon Forge and is bordered by the Smoky Mountains National Park. 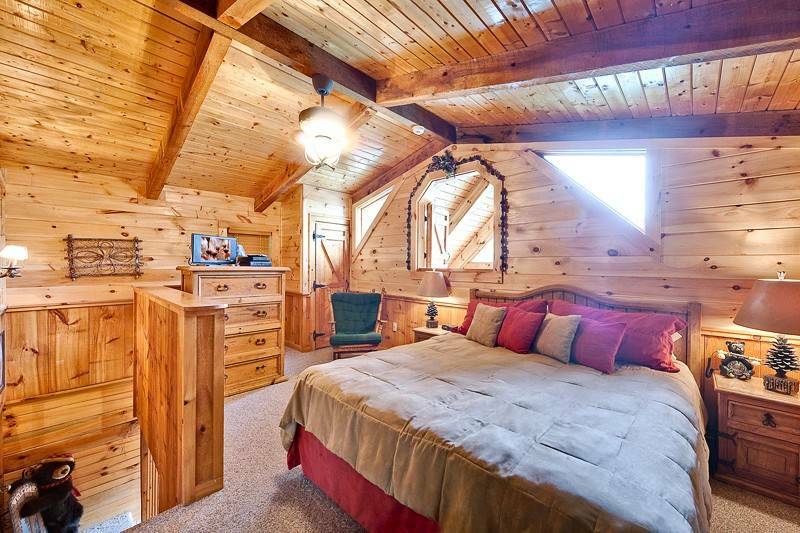 The bedroom has a King bed/TV, with barn loft window over looking the living room and mountains. There is a secluded and private screened in deck off the bedroom with a large hot tub and rockers and a view of the National Park. 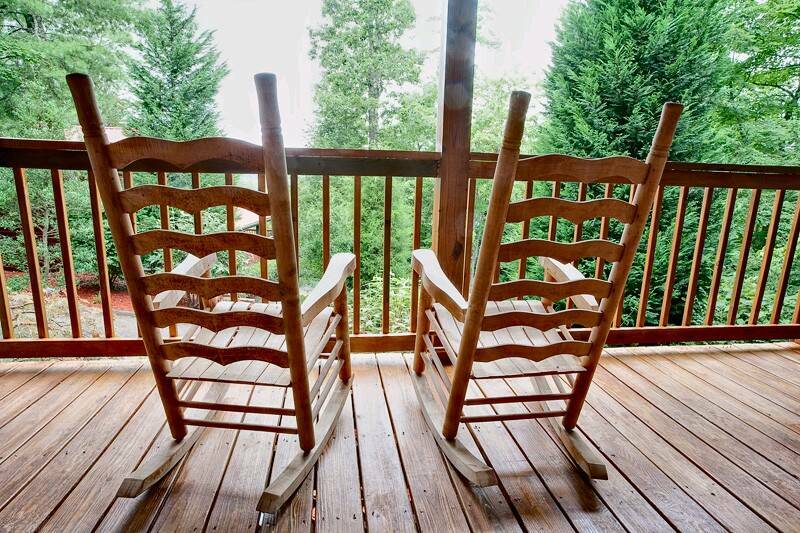 While relaxing on the front porch you have a wonderful view of the Smoky Mountains. Also provided are rockers and a grill for your enjoyment. 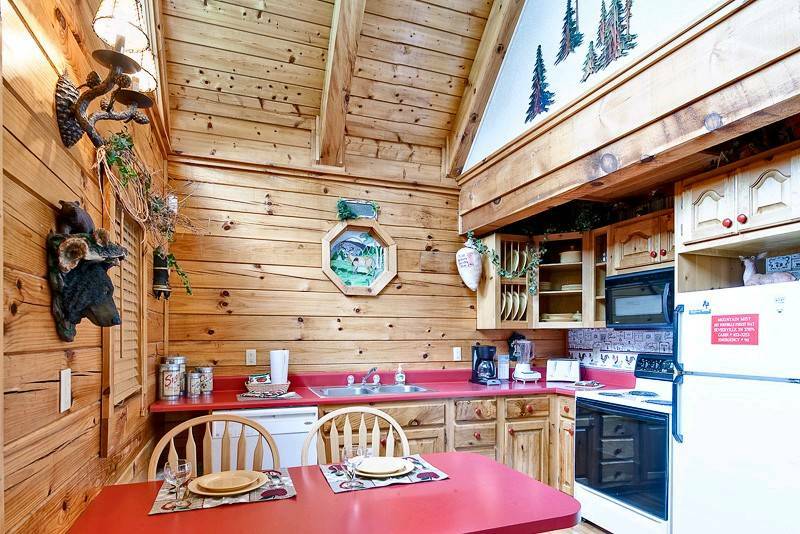 Of course, this cabin comes with all the amenities needed for a relaxing vacation getaway. The living room features a gas fireplace, satellite TV/DVD and phone. Also included is a full kitchen, full bathroom, washer and dryer. This cabin sleeps 2. CABIN IS DECORATED FOR CHRISTMAS! Had a wonderful relaxing stay. Snug little cabin with a great view. Very quite and comfortable place to stay. Mountain Mist was a very clean cabin. We have stayed at a heartland cabin before and would do it again. The staff was very friendly and courteous! I arrived later than expected and Casey called to make everything was very nice, not many places are that caring about their guests. Everything was just right when arriving at the cabin, it was clean and inviting and it felt like home away from home! I would recommend using heartland cabin rentals to all of my friends and family. In an area where there are a thousand lodging options, heartland goes above and beyond to make you feel at home! We greatly enjoyed our stay at the Mountain Mist cabin. The hot tub was wonderful. Cabin was fine, could use a little general maintenance.could use a step stool to get in and out of hot tub, but no biggie. Would stay again. Perfect cabin for our honeymoon! The only problem we had was the rain blowing in the first night we were there - but that was resolved and no more problems after that. We enjoyed our stay and will choose one of your cabins next time we visit. Always love going to the Mountain Mist. Quiet with amazing views. Close to Pigeon Forge and Gatlinburg. Will definitely be back soon. Cabin was excellent. Very peaceful. Would definitely stay here again. 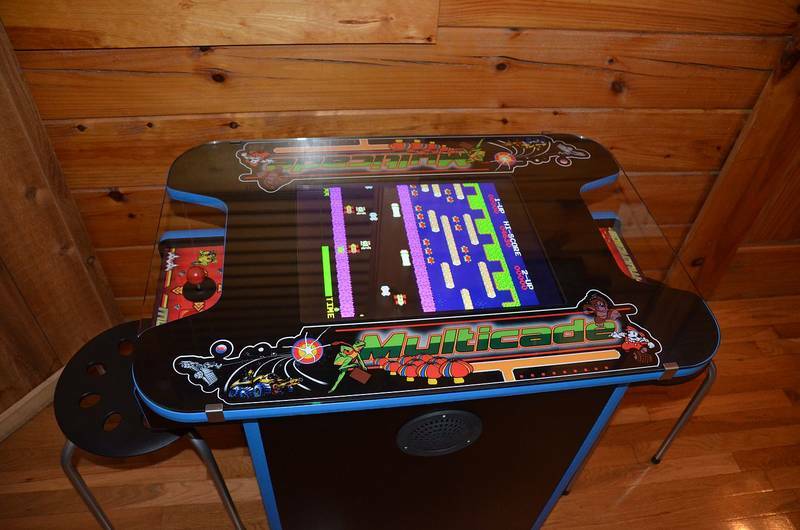 80s style gaming machine was awesome but the volume was so loud, with no volume control, it wasn't worth it. We had a great time and everything about the cabin was great. The cabin had everything that we needed. We loved the location at the top of the hill. The cabin was very clean and well maintained. We really enjoyed relaxing in the hot tub. We definitely plan on staying here again real soon! We absolutely loved staying with you all! Always the best time ever! I've rented cabins from Heartland for years and they are always outstanding. The staff is extremely nice and helpful, the cabins are always very clean and beautiful! I will always only rent from Heartland!!! Our check-in was quick and easy. Great directions to get to the cabin. Cabin was very clean and neat. Having the hot tub just off the bedroom was nice. After walking all day, it was nice to relax in before bed. A few of the jets didn’t work, or were very slow but it wasn’t enough to make much difference. It was a little inconvenient having the bathroom downstairs with the bedroom upstairs. But we were aware of that when rented so it wasn’t a surprise. This cabin was at the end of the road so it was very private. The kitchen was equipped nicely—-not a single thing we needed that wasn’t there. The arcade game was a nice throwback to our teen years!!! Had a great time relaxing and enjoying time away. The cabin had a few minor issues with maintenance but overall nothing that seriously detracted from our enjoyment. Great location and view for a couple's retreat. Cabin was just big enough for 2 the view were excellent. The cabin was very cozy and homey. The cabin was very cozy. I really enjoyed my stay at the cabin. I will be renting from you in the future. Cabin was nice and clean. I would recommend putting some lights in. Especially in the kitchen. Hard to read or cook. Overall everything was great and staff was friendly and helpful. The cabin was very clean and the hot tub was great. Had a great time just relaxing and enjoying the quiet. cozy cabin with everything we needed, can't wait to come back for another visit. Heartland rentals hasn't forgotten about customer service. It is nice to know that they appreciate our business and offer return customers a discount. The cabin was neat and cozy and had everything we needed. We will be returning to the Gatilnburg area and we will be staying in a Heartland rental when we return. It was the perfect destination to enjoy our honeymoon! There are so many cabins to choose from...Mountain Mist was the perfect cabin. The perfect distance from both Pigeon Forge & Gatlinburg. Very clean, beautiful area, and great price! Everything was really good however the bed in the cabin was not very comfortable. But the rest of the cabin was awesome! From point of check in to check out was completely amazing. We were helped and informed of all the different things we were able to do to make our stay worthwhile. We arrived to our cabin which couldn't be any more perfect, very clean and cozy. No problems following the very detailed instructions and appreciated that our cabin was supplied with the basic home cooking appliances. The only problem we experienced was the bed in the cabin was a little harder than we prefer. other than that everything was perfect. Was a wonderful hidden cabin experience. Very homy and well furnished. The was only a few things I would wish for. That there was more light inside, especially around the couch area. Also liked for the fireplace to have larger flames. Loved having the video game machine there and the hot tub was very nice as well. All and all a very pleasant experience. Thank You! It was nice and relaxing. Cabin was clean and we had no problems with anything in the cabin during our stay. Was not a fan of the bedroom being upstairs and the bathroom downstairs. I have stayed in bigger one bedroom cabins. Refrigerator a little on the small side. It was quiet and we enjoyed our stay. Exceptionally clean! Very relaxing, cozy setting, away from the crowds! And very quiet!!! We really enjoyed our stay very much. We would also strongly recommend that a map to the cabin be included with the directions! 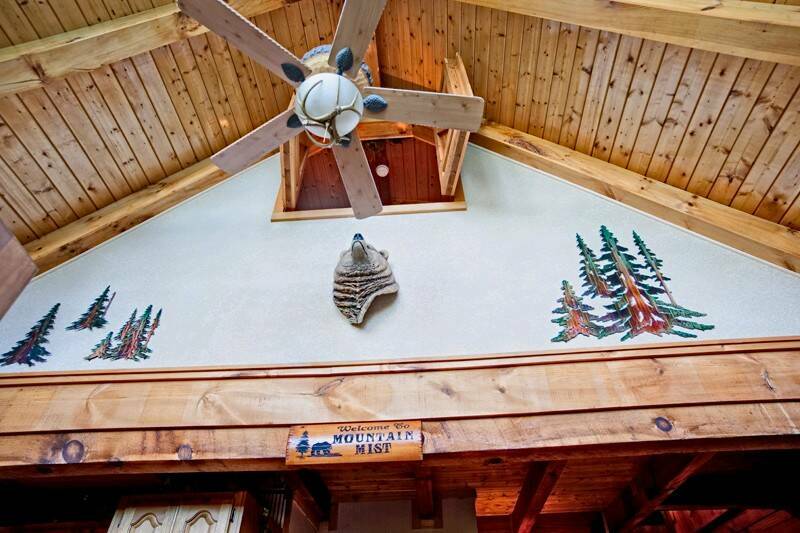 Again, we loved our stay at Mountain Mist! Thank you very much! The staff was outstanding!!! 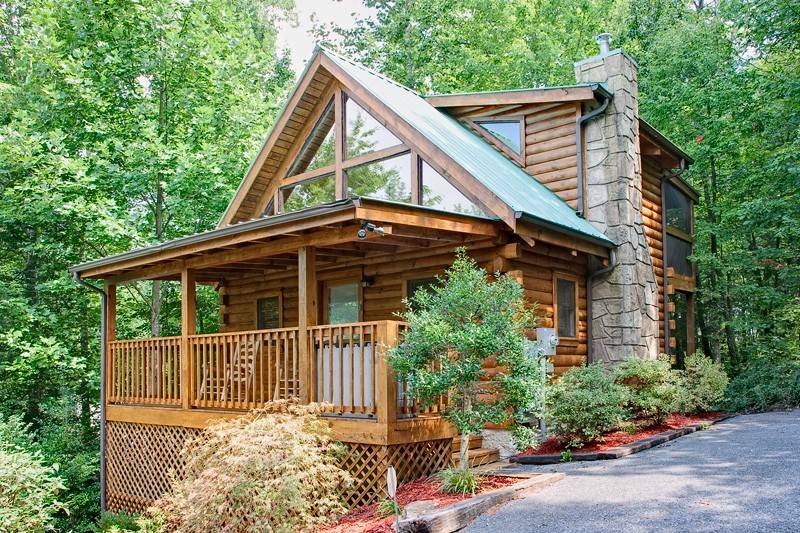 Amazing vacation in a comfortable, private cabin, overlooking the Smokies! We we very pleased with our stay at your Mountain Mist cabin! Everything was perfect and all the necessities for cooking/eating/bathing were included which saved us an extra trip to the store. Our cabin was up on hill and was very private/secluded from the other cabins and the view from the porch was amazing! The location was perfect, right in between Pigeon Forge and Gatlinburg which made for a short drive to reach our destinations. I will definitely recommend Heartland Cabins to anyone thinking of visiting the Smokies and will stay here when we come back to visit! Me and my husband had a wonderful, relaxing getaway while we stayed at the Mountain Mist cabin. It is in a great location and was very clean. The bed was huge and comfortable!!! Relaxing in the hot tub was a treat for us. The staff is very accommodating and we will definitely be back again. Staff was great.. The Cabin was very nice. We will be back. We loved the cabin. Was very nice and clean. The cabin is like a 10 minutes to Gatlinburg or Pigeon Forge. The staff at the office were very nice and friendly and very helpful. We will for sure use Heartland Cabins again when we plan our stay. This was our 20th wedding Anniversary and the cabin was perfect. !!! My wife and I enjoyed our stay here. It was closely located to both Pigeon Forge and Gatlinburg, each within a short driving distance. Everything was clean and worked well and the bed was pretty comfortable. I have no complaints and would stay again. This cabin was wonderful! It was quaint, cozy, and comfortable! We throughly enjoyed our stay. The staff at Heartland were kind and helpful. We will definitely be back! My wife and I have stayed here for several years and will continue too. The cabin provides all the quietness and comforts that we enjoy. We really enjoyed staying at the cabin. It was private. The view was peaceful. We loved it. Everything was great, perfect couples retreat. Beautiful view, very quiet. I stayed with my boyfriend and we had a blast. The cabin was so cozy and very clean which was important to me. The towels and blankets smelled freshly washed. The bed was also comfortable. We cooked a few nights and it was nice to have a full kitchen. Hot tub also clean and relaxing. My wife and I got married on 5-15-15 and enjoyed Mountain Mist. It was a wonderful honeymoon cabin. Quaint, quiet and secluded cabin - just what we needed. My wife and I celebrated our 30th Wedding Anniversary at the cabin and really enjoyed ourselves. 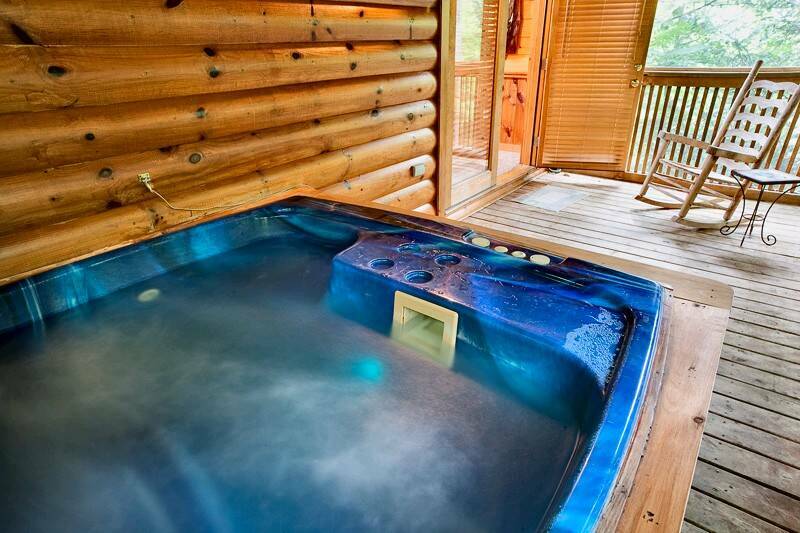 The cabin is in a very secluded location, with a nice view view and even nicer hot tub to relax in. You should know that getting to the cabin could be difficult in the winter because the roads are very steep but so are all the roads in the smokies. The cabin has nice amenities including a washer and drier so bring laundry detergent with you and you'll go home with clean clothes! The Heartland staff was very helpful and friendly so no problems there. As a matter of fact, there were no problems at all. 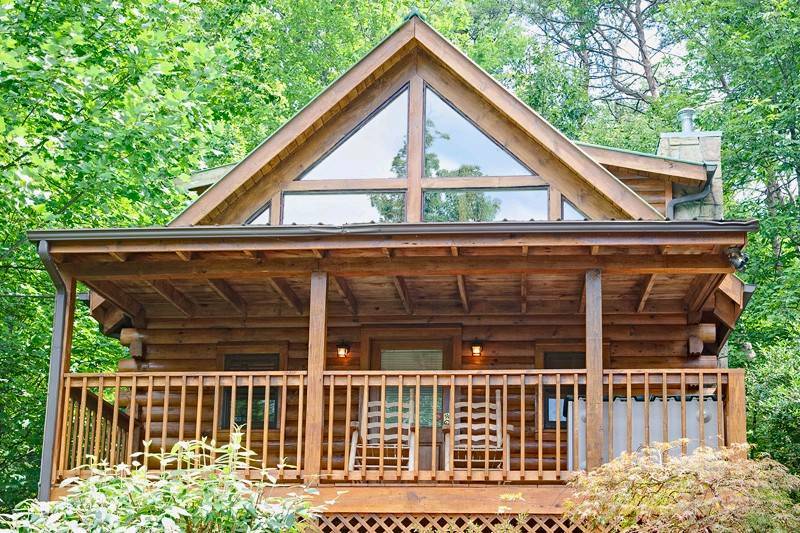 I highly recommend this cabin if you need some time to recharge your batteries and get some quality time with your favorite person in the whole world. Very happy with everything about my stay. They cabin was quaint, comfortable, great condition and the staff were wonderful!! My wife and I couldn't have been happier with our stay in this wonderful cabin. It was cozy, comfortable, and perfect for a couple looking to get away. The cabin was very clean, the hot tub was working, and there was plenty of hot water. The cabin is in a "resort" with other cabins, but it is tucked away at the very top of the hill, so it feels more secluded than many of the other cabins. The first cabin we had the hot tub wasn't getting hot , they didn't hesitate and had us in another cabin in 5 minutes. The cabin and staff definately exceeded our expectations. We will be returning. It was the private getaway that we needed. We absolutely enjoyed the mountains and the cabin. If I had to make one change it would be a bigger couch in the living area. 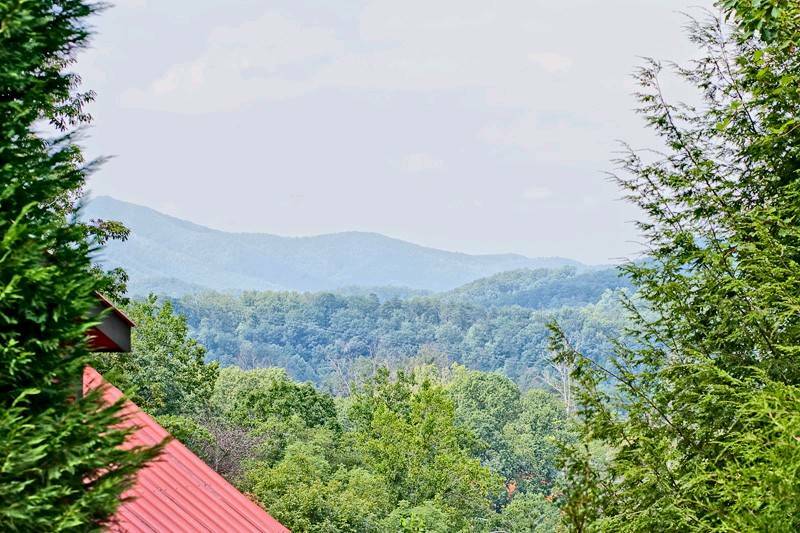 Love the Smokies and Love Heartland Cabin Rentals. Awesome! We had a great time, the cabin was clean, very cute, nice view! it was close to town but not to close! We will be staying again.